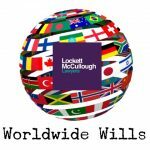 At Lockett McCullough Lawyers, we pride ourselves on our ability to provide each and every client with the best quality legal service and advice. Our highly experienced team includes well regarded lawyers who are able to assist you with a variety of legal matters no matter how simple or complex your legal needs may be. Our expert conveyancers, who have completed countless conveyancing transactions throughout their respective careers, are amongst Brisbane’s best conveyancers. What makes us different from other solicitors? 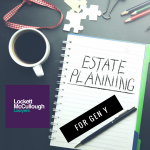 We take great pleasure in assisting all types of clients, whether you are a mum or dad wanting to update your will or a company embarking on a new property development. Regardless of your needs, you can expect that you will receive quality and expert advice from our experienced solicitors and conveyancers and that we will communicate with you in an easy to understand manner, without the legal jargon. We understand that engaging a solicitor to act on your behalf can be an expensive undertaking and sometimes the costs can be unpredictable. For this reason, we offer our clients a fixed fee service for most legal matters. This means that you can budget for your matter with certainty knowing what your fees will be. Can’t afford to pay your fees upfront? In some situations, we are prepared to accept payment of our fees at the completion of the matter. Our experienced lawyers can act speculatively for you so that you receive high quality service without having to pay upfront. As a boutique firm, we are able to offer highly personalised service. Whilst some firms rely on having a constant high volume of matters to remain profitable, our suburban practice means that we are able to focus on your individual needs. 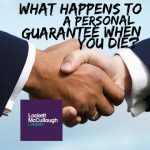 This means that our experienced solicitors and conveyancers will provide you with the best personalised service rather than be distracted by the many others matters and clients that we are also servicing. Put quite simply, we are good at what we do. Practising law is not just a job for us, we genuinely enjoy assisting our clients on a daily basis and are passionate about finding the best possible outcome for every one of our clients. To find out why we are the preferred lawyers of countless Brisbane, and specifically Toowong and Albany Creek residents and businesses – contact us on (07) 3870 8244 today or obtain a quote from us.